It's up to us to help them get it. We’re at a critical juncture in our children’s relationship with technology. Time spent with technology can distract them, sap their attention and disconnect them from what makes us uniquely human — or it can be used to support their health, well-being and productivity. This was the takeaway from GENYOUth’s Inaugural Youth Survey on Trends in Health and Wellness, co-presented by Thrive Global to middle schoolers and high schoolers across the nation. The survey’s goal was simple: to begin to understand how young people use technology to support their health and well-being. The good news is that the vast majority of today’s youth care about their own health and well-being, feel responsible for it and want to do more to take charge of it. The bad news is that technology isn’t doing all it’s capable of to boost the health and wellness of this tech-obsessed generation. This presents a challenge and an opportunity to the tech world — bring young people into the process so technology can be used to support their well-being and truly add value to their lives. What our survey found is that right now only one in 10 young people use technology effectively to enhance their health and well-being. This is alarming considering that over half of the respondents also said they’re interested in using apps, fitness trackers, websites and social media platforms designed to help them achieve their health goals. So why don’t they? The top reason is that they feel like the health-related apps and devices currently available to them aren’t designed with them in mind. So instead they turn to sites like YouTube where they can hear voices like theirs talking about things that are more relevant to them. This means there is an enormous market and untapped potential for more human-centered technology that supports our teens’ developing need for independence and responsibility over their own lives. 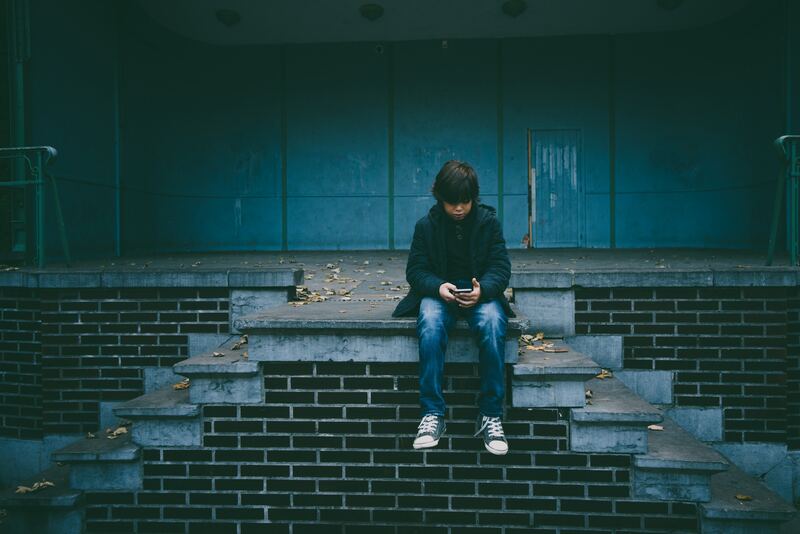 The work of Jean Twenge, a professor of psychology at San Diego State University and the author of iGen, has showed the negative effects that smartphones and screen time can have on our childrens’ development. “The key,” writes Twenge, “is to make sure that teens eventually get the opportunity to develop the skills they will need as adults: independence, along with social and decision-making skills.” This point is especially important as it pertains to developing healthy habits. As we know from our survey, young people are already taking responsibility for their health, and they also want technology that supports them in taking control of their own well-being. But what our survey also shows is that this can’t be done without broadening the conversation and welcoming the input of young people themselves. These kids are eager to talk to us about what they like, what they need to have a healthier relationship with technology, and how they feel technology can be improved to enhance their own lives. Each of us can play an important role in making this happen. Developers, designers and manufacturers can commit to building more human-centered technology. That means including our youth in the creation, design and marketing of new products and services. Educators and schools need to make having a healthy relationship with technology a part of the mental and physical health curriculum, integrating hands-on workshops into health classes that teach young people how to effectively use technology to enhance their well-being. Students should also be encouraged to create their own technology solutions as part of their STEM, coding, makerspace and project-based learning initiatives. The efforts of developers and educators, combined with a home environment that encourages a healthy lifestyle, can greatly impact our children’s futures. But it doesn’t stop there. As parents, we need to lead by example and show our children what technology-facilitated healthier living looks like. This means creating boundaries with technology in our own lives — so our kids can see us practicing what we preach. Even more important, it includes demonstrating ways of using technology to inform better decision-making and support personal well-being. When we do these things and model these behaviors, young people will see that it’s not only desirable but possible to create a healthy relationship with technology. According to our findings, that’s exactly what they want. Let’s show them how to get it. For More Information on GENYOUth and Thrive Global’s Inaugural Youth Survey on Trends in Health and Wellness, click here. Alexis Glick is the founder and CEO of GENYOUth, a nonprofit organization dedicated to nurturing child health and wellness through programs in partnership with the National Football League and the National Dairy Council. The organization reaches 73,000 schools, representing 38 million students. Prior to the inception of GENYOUth, Alexis helped launch the Fox Business network, the largest cable news launch in history, where she served as Vice President of Business News and anchored “Money for Breakfast.” Glick has been a strategic advisor for a wide range of Fortune 500 companies and has interviewed some of the world’s most recognized leaders including President Barack Obama, Hilary Clinton, Warren Buffet, Rupert Murdoch, and Brazilian President Dilma Rouseff, among others. Glick’s many leadership accomplishments began on Wall Street, and evolved while an executive at Morgan Stanley, where she headed floor operations at the New York Stock Exchange. A member of the New York Stock Exchange since 2002, Glick was the first, and youngest woman, to manage such an operation for a bulge bracket firm, and served as one of its top producers on the Listed Equity Trading Desk. Glick started her career on Wall Street as an analyst in the Equities Division at Goldman Sachs. In addition to her work at GENYOUth, Alexis is active in several national and local non-profit institutions. She is additionally a frequent advisor to CEOs for some of the largest international and blue-chip companies on issues relating to media strategy, investor relations and communications.